We got one more opportunity to share your happiness with the cute little children in the Orphan Home..
Food Distribution at Govt Maternity Hospital Koti , On this Monday 21st-November-2016, Hyderabad. Under 'Anna Parabrahmam' project ASWA have been conducting food distribution on every 3rd Monday of every month from last four years or specify for needy at Neloufer and Maternity Hospitals. 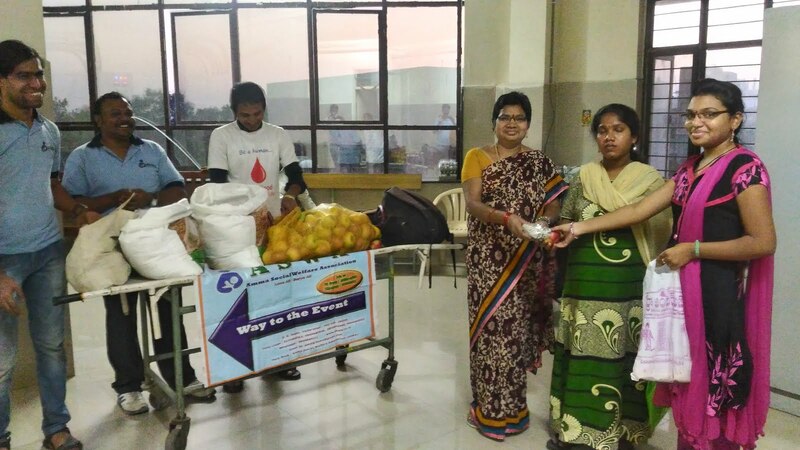 During this month program we distributed 170 packets of chaptahi , Dall curry along with one Apple fruit at Govt Maternity Hospital. Even in the tough times(Demonetization) also our volunteers gathered rs 5,500 to conduct food distribution. Thanks to all donors and volunteers who made event as grand success. With all your support and blessings we have successfully completed visit of Aashraya Home for Orphans on 18th Dec -16. Started Event at 10.30AM, with interaction between volunteers and children and completed the event at 1.45 PM. 7up Game: Conducted 7up game, all volunteers were played along with children. Game 1 and 2: Divided children into 4 teams and conducted 2 more games by 4 individual teams of volunteers under Srinivas guidance. Children played very well and enjoyed a lot. Certificates: At last distributed certificates to new volunteers and explained ASWA activities in brief. Birthday Celebrations & Distributions: Santhosh (friend of Pavani) Birthday celebration: After cake cutting, she distributed Biscuits to the children. 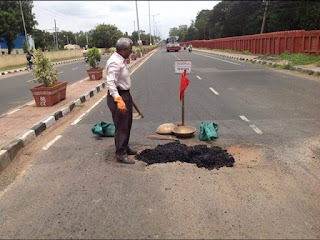 Hari Krishna - 9848268646 , Mohan NagaKumar :9246191669 / Help line :9948885111. 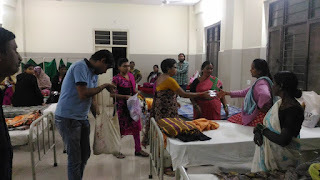 అన్నం పరబ్రహ్మమ్-Food Distribution @ Govt Maternity Hospital, Koti, On 17th October -Hyderabad. We success fully completed food distribution on the occasion of World food Day. We reached hospital by 4.30 P.M with fruits, later chapatti vendors delivered chapatti packets at 4.45 P.M. Finally we started event sharply by 5 P.M.
We started distribution in 3rd floor and distributed up to ground floor. This time most of the in patients are on laying down on ground floor due to in sufficient beds. When we talk to Hospital management regarding this issue, they replied due to un expected crowed , beds are not allotted to them. Our special thanks to all donors and volunteers for their continuous support. 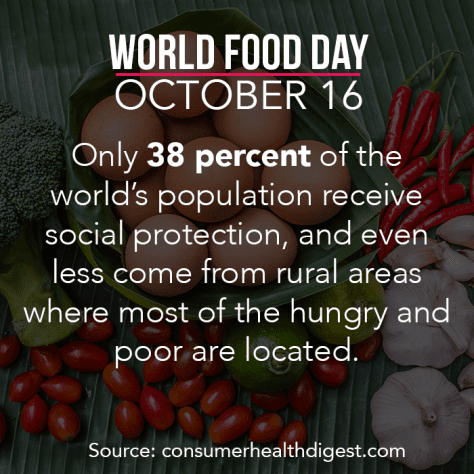 we are going to conduct food distribution on this 17th October 2016 (Monday). Let us please join your hands to make the event grand success. Venue🏛 : Govt Maternity Hospital,Koti. Address : Govt Maternity Hospital, Sulthan Bazar, Opp Koti Women's college, Koti. Interested please ring 📲:Sarath Chandra 9700546866 / 📲Dhanesh 7893451007 / Dhana Lakshmi 7842678879 / 📲ASWA help line9948885111. AMMA Social Welfare Association is Conducting Blood Donation Camp on 04-Dec-2016 (sunday), 9AM - 3 PM. to save lives of many Thalassemia effected children. Hence, we ​​request for your participation and also request you to invite your friends, relatives and other people you know for this noble cause. Amma association successfully conducted 24 Blood Donation Camps with your great support. This time we are Conducting and Celebrating our 25th Silver Jubilee Blood Donation Camp Grand . ​​Venue: SR ​Nagar community Hall, Near SR Nagar Police Station, Hyd. Please Watch our youtube channel to watch 25th Blood Donation Camp Awareness videos shared by Many Film Actors and Directors. There is a general misconception among people that blood donation leads to physical weakness which has been proved ​ ​irrational medically and is just a psychological effect. A person recovers the blood donated in just 20 to 59 days and ​ ​hence can donate again after 90 days. Donating blood in every 3 months has been proved healthy. 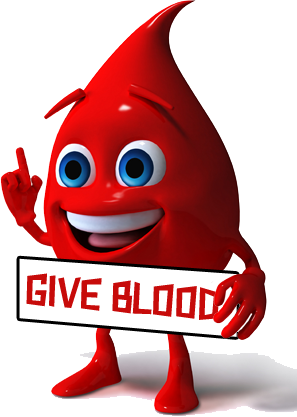 Burns calories, One pint of blood (450 ml) when donated burns 650 calories in donor's body. Helps in fighting "Hemochromatosis", it's a genetic disease which may lead to organ damage. ​It has been mentioned in various sites though not proved that elderly people in good health have reported feeling ​ ​invigorated or re ​ ​energized by giving blood on a regular basis. ***** The most valuable thing you can donate is your blood, there is nothing precious than a human life. ​ ​Let's try to save as many we can. NOTE::: PLEASE FORWARD THIS MAIL TO ALL YOUR FRIENDS AND POST ON ALL YOUR SOCIAL NETWORKING SITES , THE ATTACHED ​INVITATION, POSTER AND PAM-PLATE. Adding our Venue Route Map.